Property managers and real estate agents can manage access to any property from anywhere using a desktop or mobile device. With our automated keyless entry, you control who has access to every door with just a few keystrokes from our cloud-based web console or taps in our mobile app. Say goodbye to the hassle of managing lockboxes, traditional keys, and keypads. Residents gain better security and maximum convenience. Remote keyless entry lets them use their smartphone or smart keys to open their doors and allow family or service providers like sitters or dog walkers in safely and securely. Remote access control and management that enable automation of property access from anywhere using our desktop web console and mobile applications. Manage Units and assign 24/7 access to your residents, staff, and trusted vendors. Use Entry Points — interactive digital keys — to control and monitor access to a Unit using day of week schedules, geofencing, and biometrics. 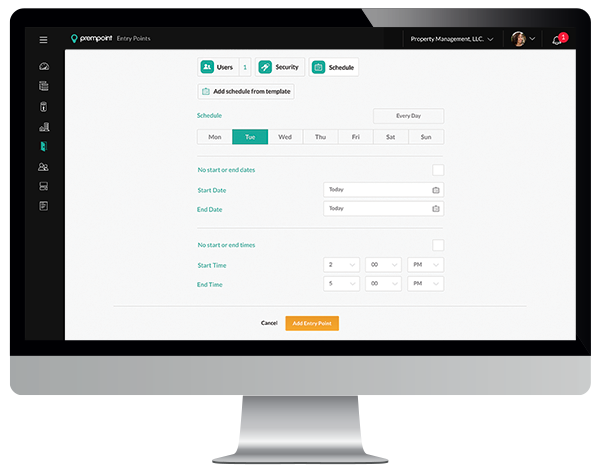 Build a private network of your colleagues, vendors, and residents in order to quickly manage property access with your contacts. Our access control and security features offer unparalleled real-time insight about your property’s activity. Know the who, when, and where of comings and goings anytime, day or night. Minimize risk of loss or damage by eliminating the use of lockboxes and keys. 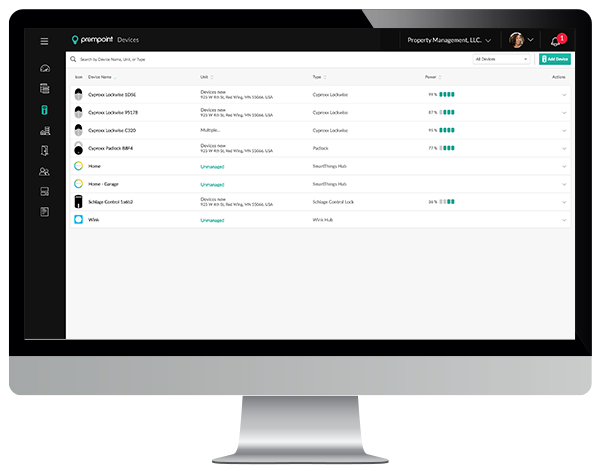 Start tracking every vendor or prospect in real-time. And, instantly grant or revoke property access without the worry of lost or duplicated keys. Even set property access schedules to automatically turn on and off based on a specific date and time. Real time notifications of property activity to know the who, when, where, and what. Securing, controlling, and monitoring access to your Units for showings and maintenance by adding Entry Points. A full audit trail using multimedia to chat back and forth in real-time with text, photos, and videos. 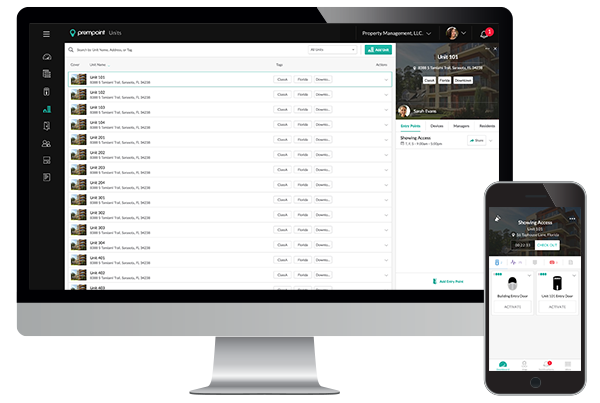 Prempoint lets you automate, control, and monitor property access from a centralized system, allowing for self-service showings that let you lease properties faster. Further, you cut costs associated with lost keys and will never have to rekey a property again. You eliminate unsightly and property-devaluing lockboxes, traditional keys, and keypads. There are no additional hubs or special equipment needed. And you can avoid complicated IT issues and associated expenses. Lastly, Prempoint is a high-value “smart” security and home automation amenity you can market to residents. The ability to choose the Bluetooth or WiFi connected devices that best suits your budget and operational needs. Turn on and off Digital Access and Monitoring by Unit and only pay for what you need. Add an unlimited amount of smart devices to your Units with no additional costs or fees. Easily grant access to properties using a simple Web URL that can copied to any 3rd party scheduling system or forwarded by email and sms text.